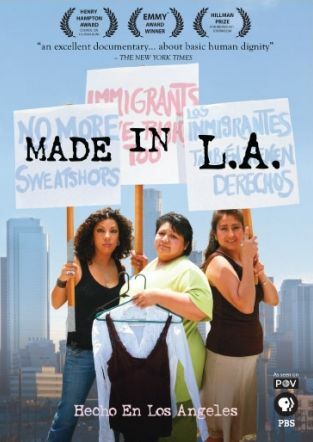 Made in LA: Buying and Using Made in L.A.
(click image to enlarge) 2-DVD set with discussion guide. This version is licensed for use by universities and colleges. This version is licensed for use by high schools and public libraries. This version is licensed for use by non-profit organizations and unions. Note: The Toolkit is available for free to Worker Centers. For more details, please click here. (click image to enlarge) For HOME viewing and for COMMUNITY and FAITH-BASED organizations doing free screenings. Not for educational or library use. For USA, Canada and other NTSC countries. For Spain, Europe and other PAL countries. 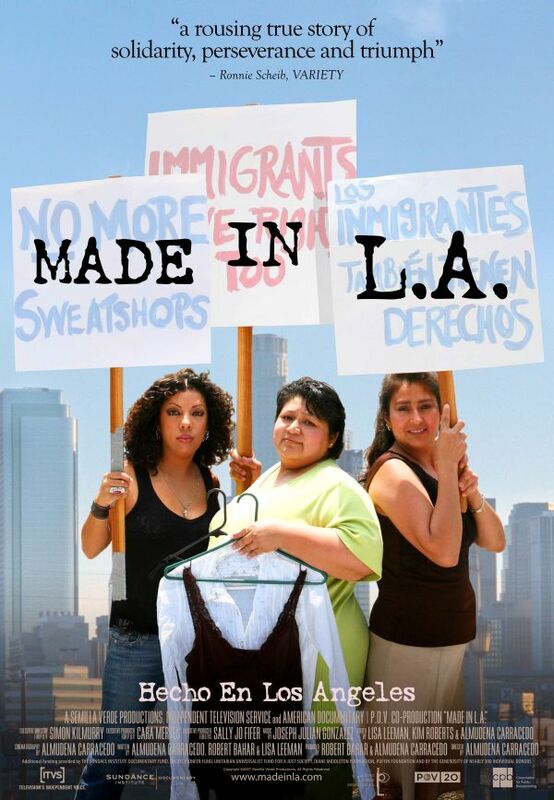 "I'm the daughter of immigrants and I have never seen anything like 'Made in L.A.' I was moved to tears... I don't know if you will ever know the impact that this movie has had on me and I'm sure on many others." Read more emotional responses to Made in L.A.! "Our school is so conservative... I have never sat with an audience as they watched a film and seen their attitudes change so dramatically." Hundreds of organizations and universities have screened Made in L.A. -yours can too!!! "I wept, I was depressed, I was encouraged, I was outraged! Thank you for making me see, learn, think, and act!" Learn how you can get involved too!